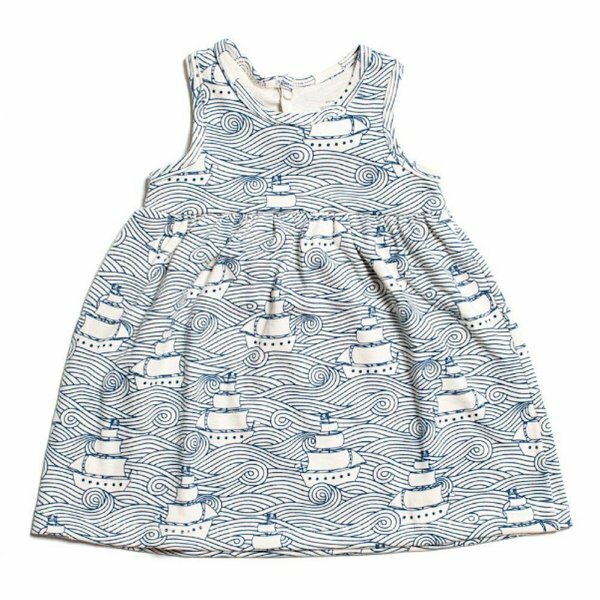 We love Winter Water Factory's fresh designs and their commitment to sustainability! 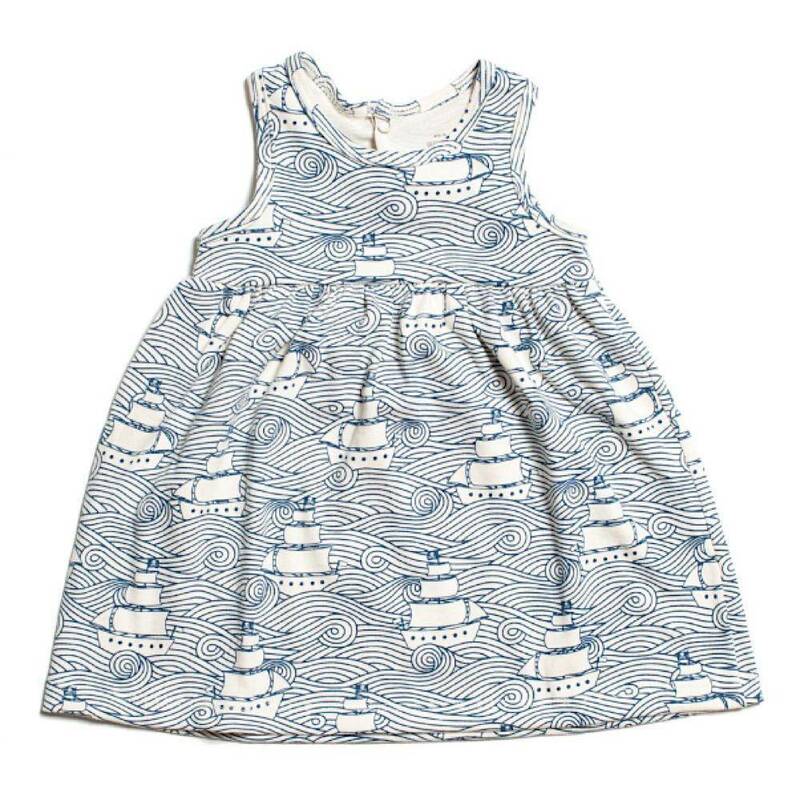 Baby will look cute as a button in this sleeveless empire-waist dress. Snaps on the back of the neck for easy changing. 100% organic cotton. Made in the USA.